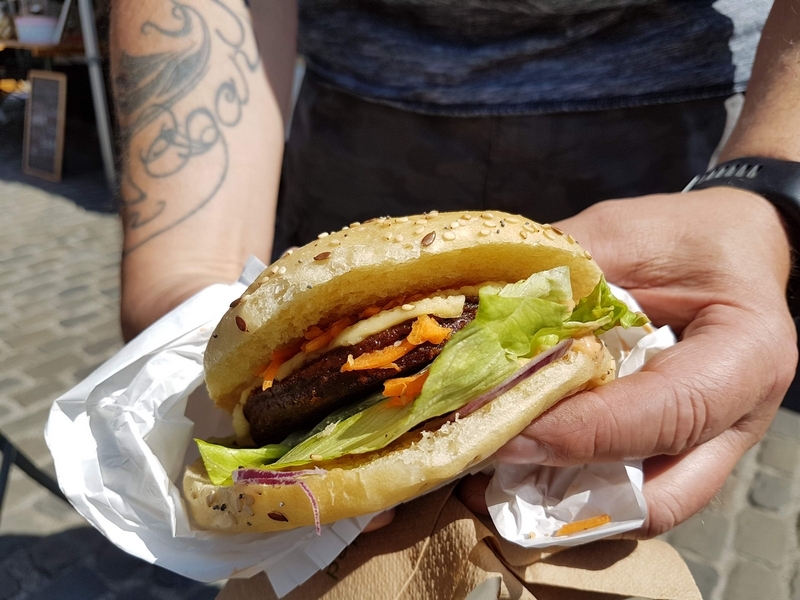 Saturday was the first edition of Vegan Street Festival in Brussels. 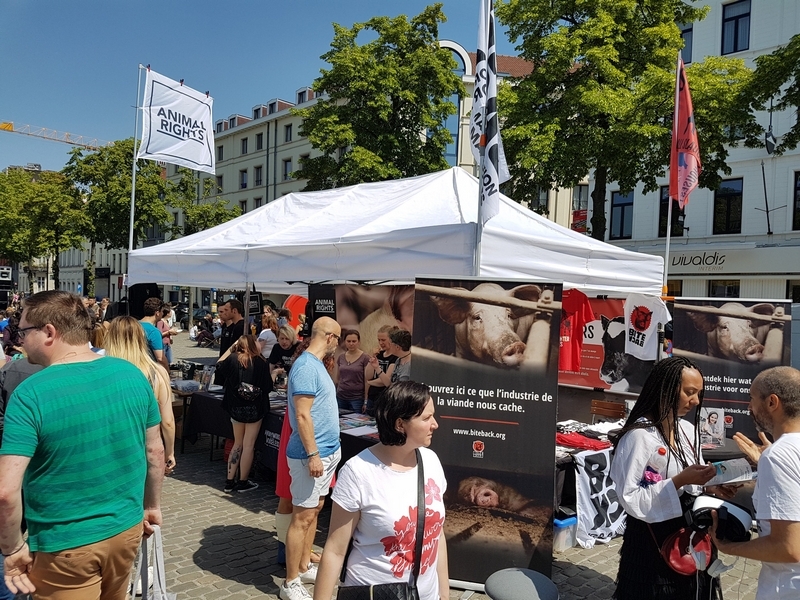 It was organised by Veganizer BXL, and supported by the city of Brussels and Beyond Carnism. 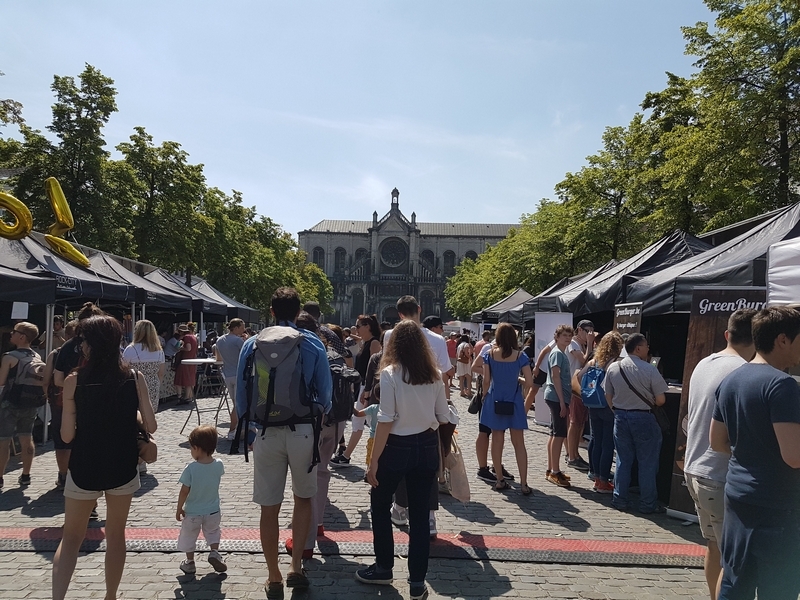 A vegan festival in the heart of Brussels, with lots of foodstalls, live music, and from 2 to 8 PM there were also talks scheduled in a nearby café. Great! We made sure to be there early, as we know from experience with other vegan events, that it usually gets really crowded in the afternoon, and foodstalls usually sell out after a couple of hours (which reading by the comments afterwards, was the case here too). As we were there early noon, we did not get to attend any of the talks (some talks in the morning would have been nice too). We strolled around, saw a lot of familiar faces and businesses, and chatted with friends. But also got to discover some businesses that were new to us from the other – French – side of the country. We queued to have some lunch (queuing time was still reasonable at that point – on average between 5-10 minutes). We tasted two burgers, a mexican inspired dish with guac, and afterwards had a refreshing icecream. It was a bit of a hassle to find a seating place though to be able to comfortably eat lunch. There were a couple of tables in between the DJ and the NGO stands, but one needed to be lucky to find a spot there. And also had to put up with the ear deafening – boink boink – music. Ouch, that was loud! It was a beautiful sunny day, and I think some people were a bit taken by surprise by the sunshine, because I saw a lot of people with severe sunburn. That must have hurt! 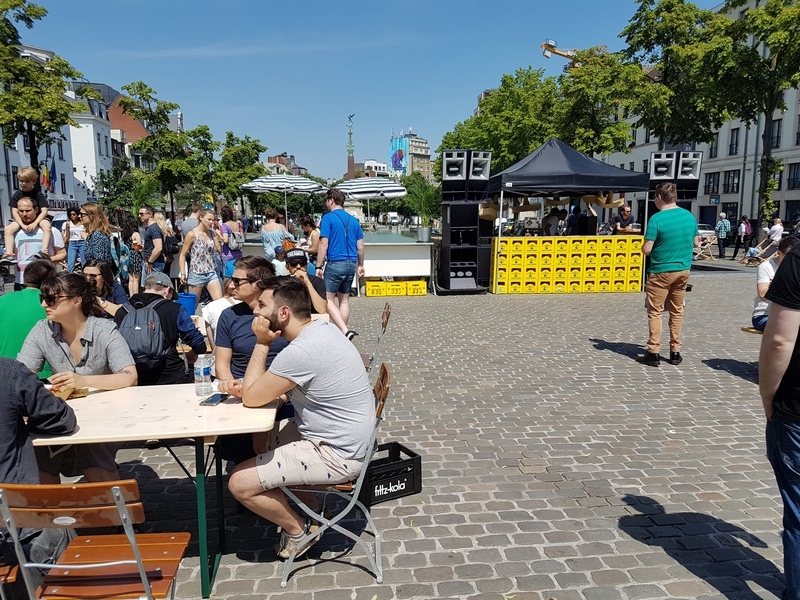 I realise the weather is quite unpredictable in Belgium, but maybe some shady places would be a welcome addition for next editions (and some more seating places too). And also: toilets! 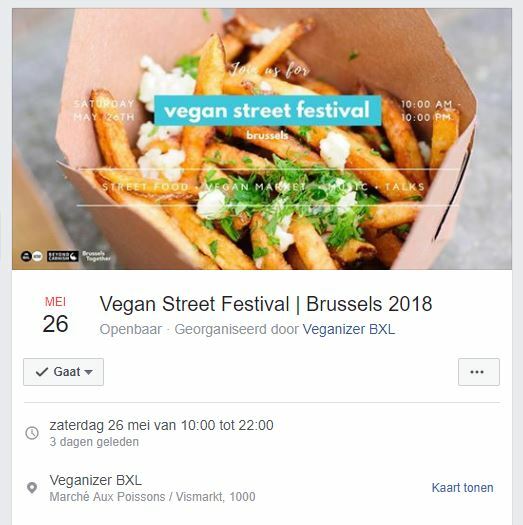 We searched … and eventually asked at the Veganizer BXl stand, but there weren’t any toilets provided. The Via Via café, where the talks were going to take place, was still closed. Jim went to one of the nearby cafés, and had to pay 2euro to use the toilet (the price of the cheapest drink)! Duh! I was looking for an accessible place, not so easy in Brussels. We saw one public toilet, near the rear end of the festival (near the momument for the war doves), and it was accessible, but *extremely* dirty (shame on you city of Brussels), so I didn’t even want to go in. All in all, we had a good time. Nice to see the huge turnout! The European capital has long been lagging behind on the vegan front (hardly any vegan restaurants or places with vegan options, especially compared to cities like Berlin, Amsterdam, London or even Paris!). 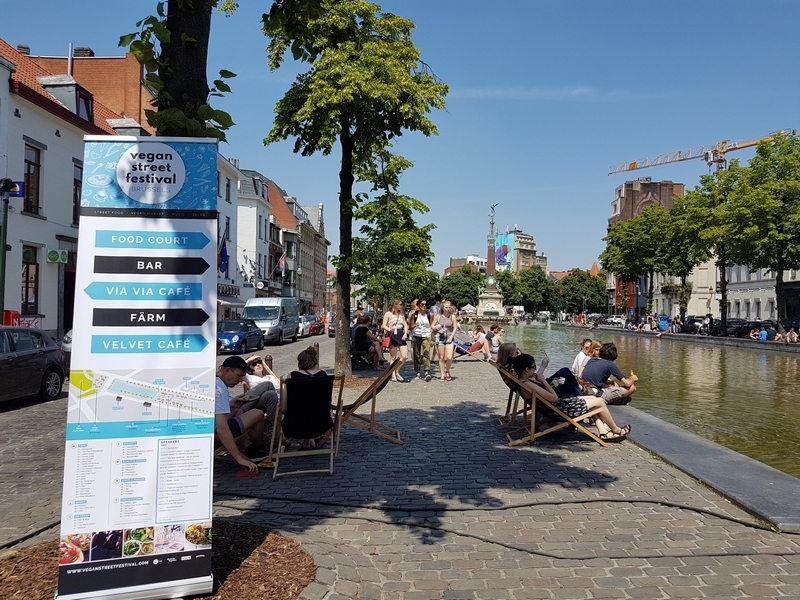 Hope this is a sign of changing – veganizing – times in Brussels! At the end of the Anspach Fountain, stands the Monument for the war Pigeon (Au Pigeon Soldat – Aan de Oorlogsduif) (1931). It not only pays tribute to the fallen war pigeons used in World War I, but also to the fallen ‘pigeon lovers’. 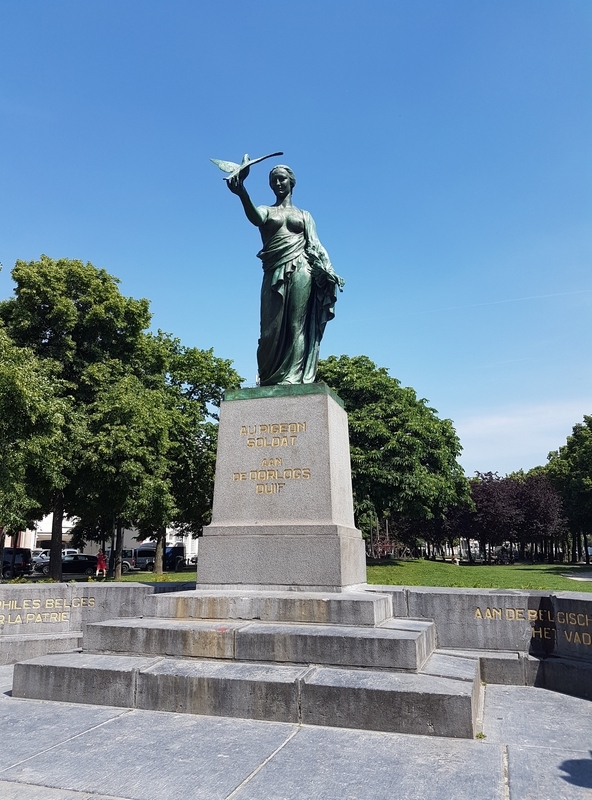 I wrote a post about why I have very mixed feelings about such monuments for ‘war animals‘. 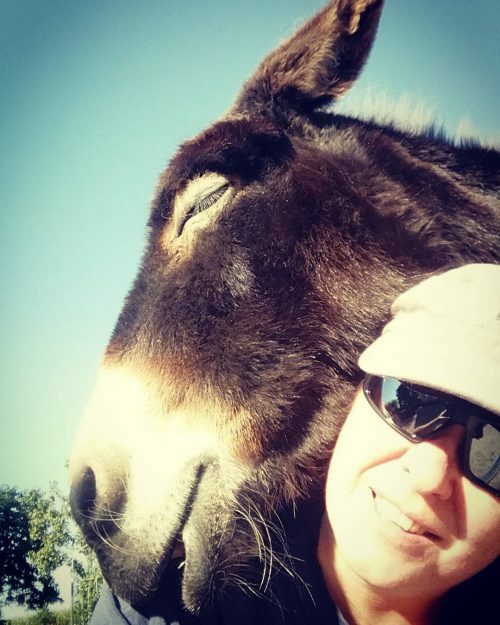 See: The animals do not want our medals and statues. Great ! 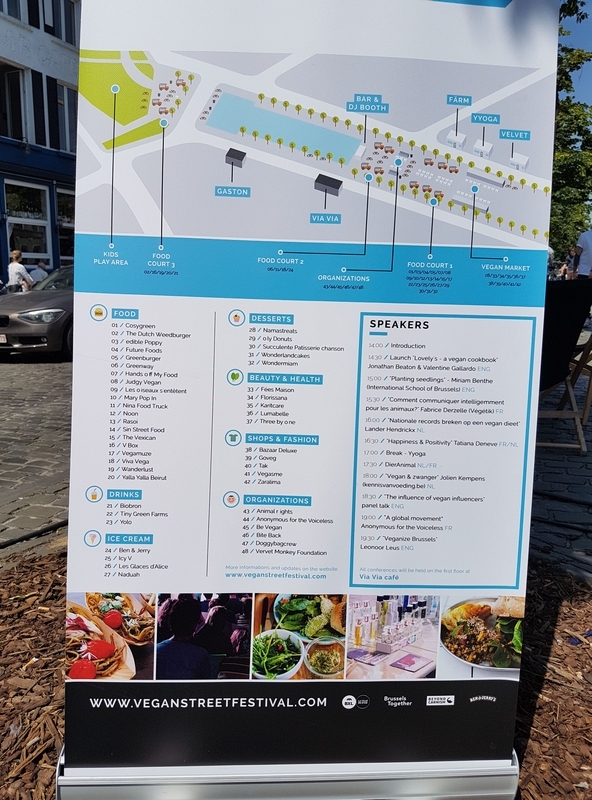 Brussels, even more nice by celebrating a Vegan Street Festival.